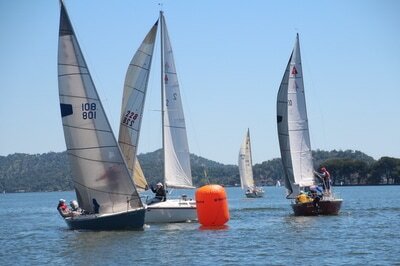 The Konocti Cup is the Konocti Bay Sailing Club's biggest race of the year. 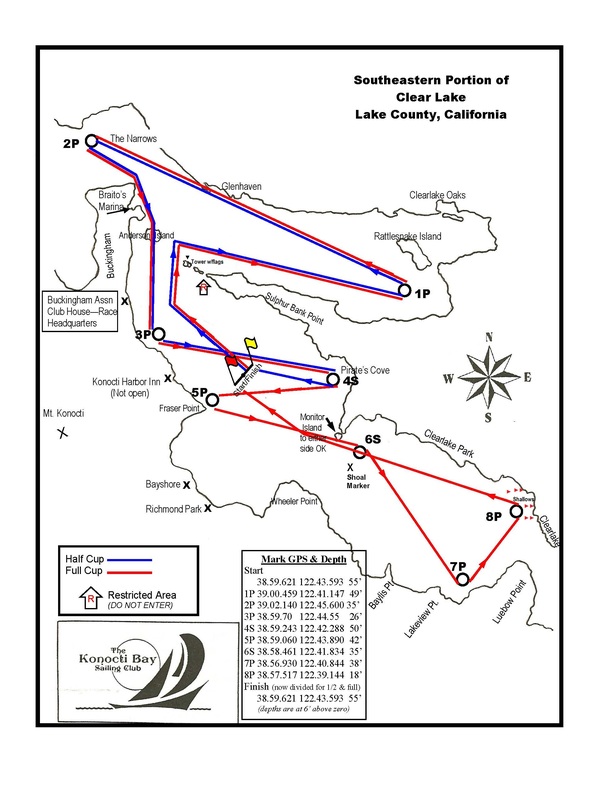 The Full Cup is a 26 mile course and the Half Cup is a 13 mile course. 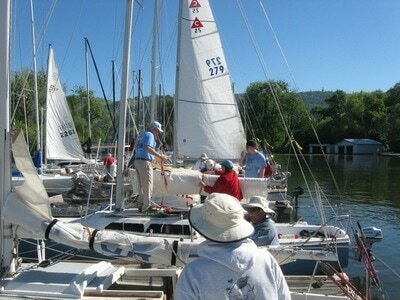 Open to all keel boats and to center board boats 18.5 feet and multi-hull boats 14.4 feet and over. 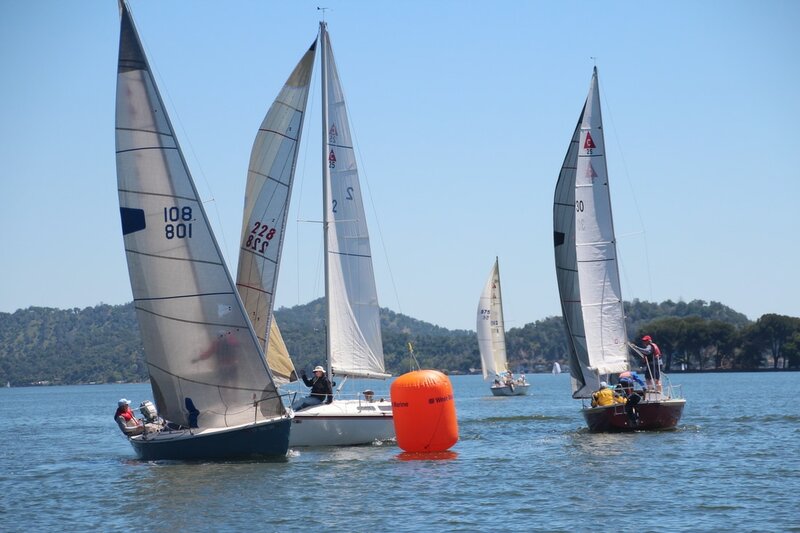 Nor Cal PHRF will be used. An operating VHF radio and life jackets are mandatory. 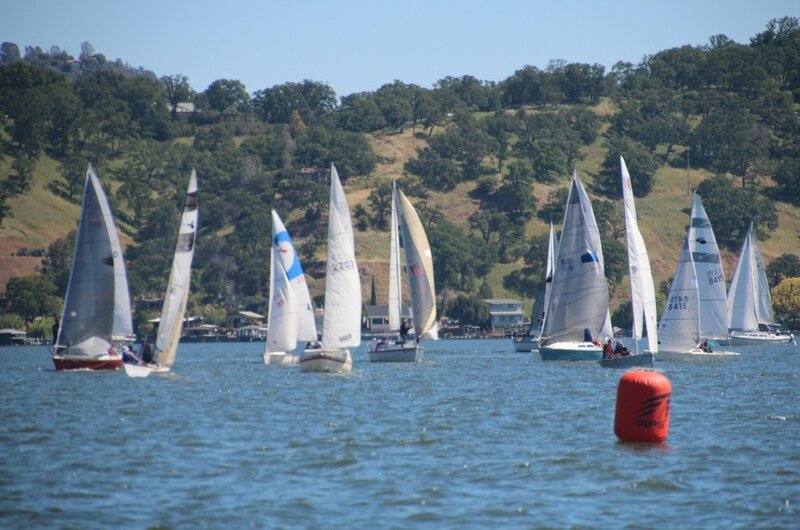 The Konocti Cup Regatta is the KBSC's biggest race of the year. Starting in 1984 this race has enjoyed great popularity and has drawn sailboats of all sizes from near and far. The Full Cup is 26 miles and the Half Cup is 13 miles. Club’s headquarters at Braito’s Marina on Buckingham peninsula. The Regatta is held every year on the fourth Saturday in April. This year it will be the fifth Saturday, April 29. 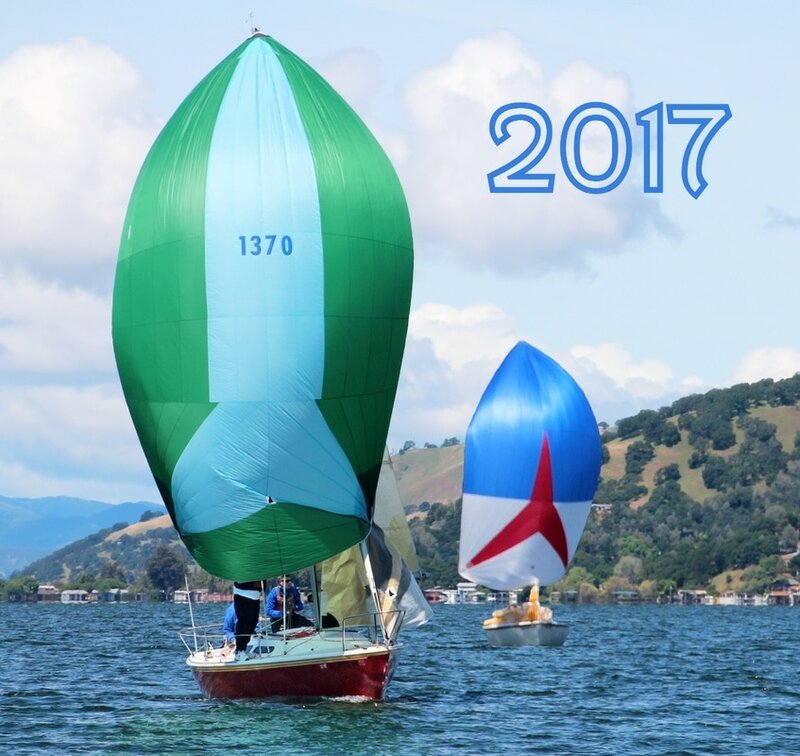 Awards Brunch is on Sunday April 30 at the Riviera Hills Restaurant, Lounge and Recreation Club, 10200 Fairway Dr, Kelseyville, CA 95451 .